GRAFFITIZER is an algorithmic graffiti installation, which creates graffiti pieces based on the drawing style of its creator; Daniel Berio. 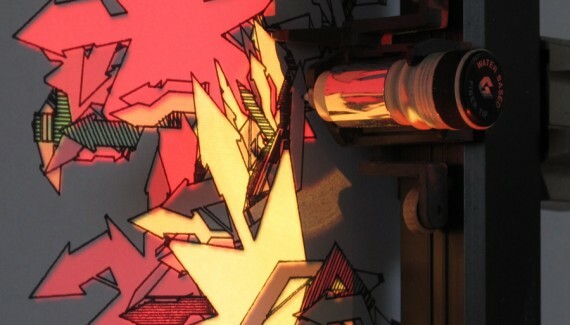 Resulting from years of experience as a graffiti artist, Daniel created this system during his ArtScience research as an attempt to merge the aesthetics of his own style of graffiti letters with algorithmic art. 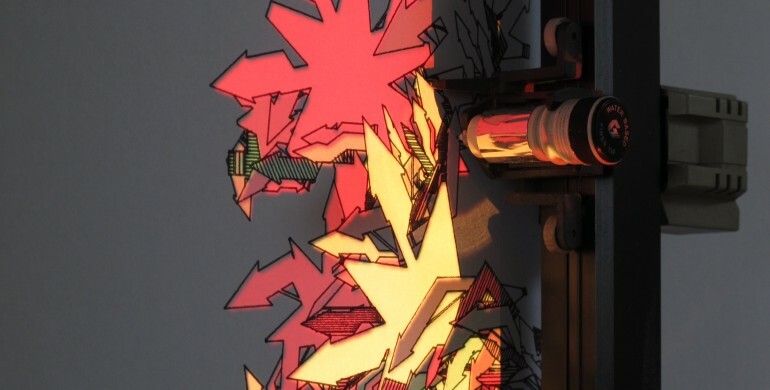 He developed generative graffiti algorithms whose output is fed to physical drawing machines and augmented with real-time projections, mixing real ink with projected light as a painterly medium. 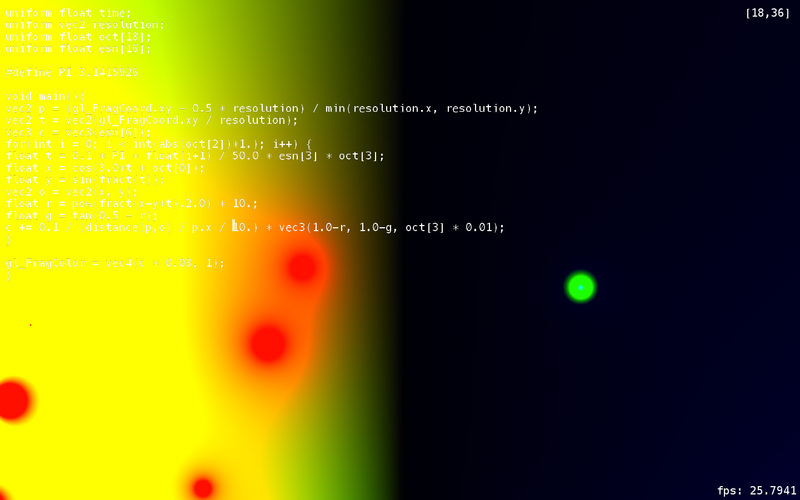 His graduate work, two graffitizers, will be presented at the first Coded Matter(s) event and Daniel will introduce them in a short Q & A.
Daniel Berio (1978) is a programmer and designer from Florence, Italy. Daniel has loved drawing since an early age. At 4 years old he began to study the violin, which he played till the age of 18 while receiving general music education. He was exposed to personal computers at a very young age, and growing up spent a lot of time programming them. In his teenage years, after seeing the first tags around Florence (Italy), his creative attention shifted to figurative art and graffiti writing, which gave him the opportunity to paint surfaces of all types in Italy, Europe, and the USA. After a period of time travelling and tagging he returned to his passion for computers. He initially worked as a graphic and web designer, but went on to be a graphics-focused programmer, utilizing algorithmic means for creating visual designs, videogames and audio-visual softwares. Today Daniel lives in the Netherlands where he works as a graphics programmer for Vj software Resolume. He recently finished his masters study at the ArtScience interfaculty.